Pour tequila, mezcal, agave nectar and bitters over a chilled old fashioned cocktail glass. Stir. Add a couple of ice cubes (preferably block ice) and keep stirring for about 30 seconds. Squeeze an orage peel over glass to extract oils and add peel to glass. Posted on October 31, 2014 by Bricia Lopez and filed under Cocktails and tagged cocktails recipes mezcal. 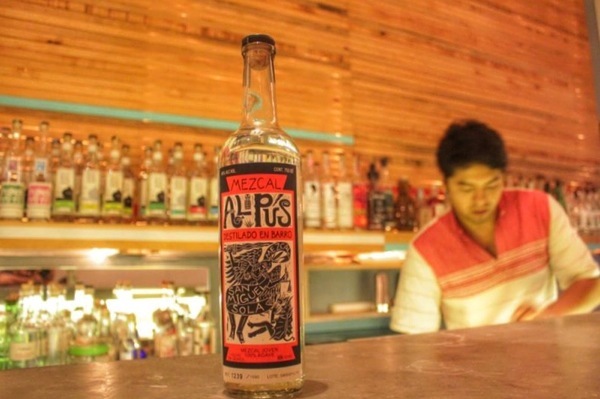 Can Mezcal save a Village? A wonderful story by Marianne McCune for NPR's Planet money. For more information on Mezcal Tosba, please visit their website www.mezcaltosba.com. Also, watch our Tosba video shot on location. Posted on January 26, 2014 by Bricia Lopez. Los Amantes has always been a favorite of mine. I had my first sip years ago at their mezcaleria in Oaxaca and then again at El Central (another favorite spot of mine when in Oaxaca). It arrived in New York years ago with the opening of Casa Mezcal and here in LA last year. Los Amantes has been around since 2005 and is one of those bottles I keep having to replace at home. Every time I have guests over, this is always my go to bottle. I like serving it neat and having it before or after a great meal. Posted on January 13, 2014 by Bricia Lopez and filed under mezcal bottles and tagged mezcal los amantes. Posted on December 28, 2013 by Bricia Lopez.